The Tatuaje Monster series is the cigar industry’s closest equivalent to when Apple Computers announces a new iPhone. 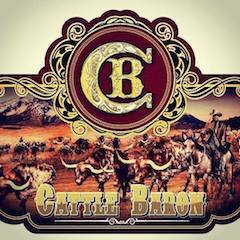 It sets off a frenzy of cigar enthusiasts to pre-order or track down where to get a box. 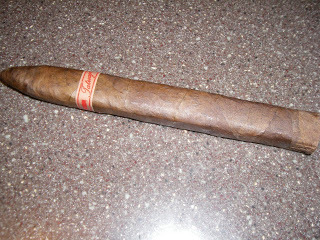 The Tatuaje Wolfman is the fourth installment of the Monster series (joining 2008’s Frank; 2009’s Drac; and 2010’s Face). I’ll admit, this is the first time I’ve ever sampled a cigar from this series. 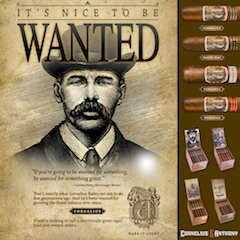 If it becomes too much effort to track down a cigar, I just won’t do it – and therefore, I’ve missed out on this series. In the case of the Wolfman, someone I smoke with at my local club was extremely kind to gift one to me. Going into this assessment, I knew the bar was high. I had already been hearing good words about the Wolfman. 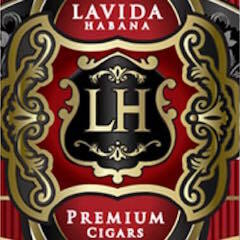 I recently sampled this cigar and after smoking it, I truly see why many people have done handstands to get this cigar – it was very good. The frenzy to get the Wolfman is partially related to packaging. 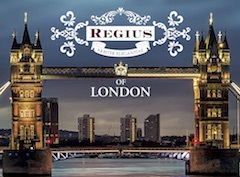 The cigars are shipped in “dress” boxes and plain boxes. Typically it are the dress boxes that are the ones that are sought after. 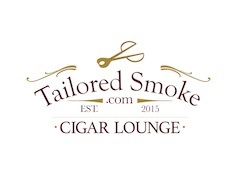 The “dress” boxes are individually numbered and typically resemble a coffin (I don’t have a picture, but here is a link to one pictured in Cigar Aficionado). To accomodate demand, Tatuaje Founder Pete Johnson has started making the Monster available in plain boxes. The way the boxes are distributed are 666 “dress” boxes (consisting of 13 cigars) were made available to 13 retailers via lottery. Approximately 1500 plain boxes (consisting of 10 cigars) were then made available to others. 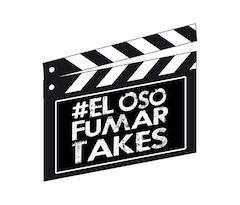 I recently had a chance to meet and talk to Pete Johnson for the first time at Empire Cigars in Raleigh, North Carolina. First up, he explained that it simply a materials issues why he cannot make more “dress” boxes. He also told me how the Monster series was something that was supposed to be fun, but has turned into a headache for him – namely complaints from retailers and consumers not being able to get them. One final note on my meeting with Johnson. I always knew Johnson was a marketing genius, but I came out of that meeting and learned that this man is passionate and extremely knowledgeable about the cigar induistry. He has huge respect for old-school Cuban cigar-making traditions and knows exactly what he wants in making a cigar. I believe his product, the Wolfman reflects this. 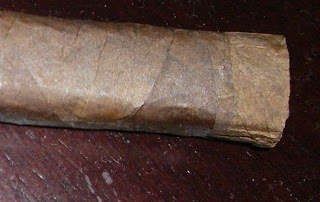 The Wolfman is highlighted by its Ecuadorian Sumatra wrapper. I would not categorize it as an oily wrapper. 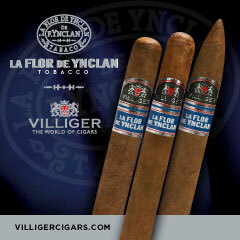 The Tatuaje Wolfman is available in a single vitola – a 7 1/2 x 52 box-press torpedo. If you have followed my cigar experiences, you know I am not a torpedo fan. I’ll cover more of this later on when I discuss the draw. 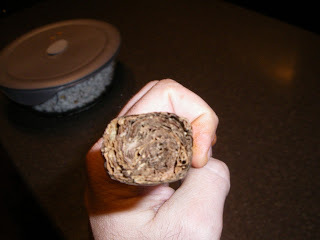 The Wolfman has an uncut foot that exposes the filler and binder tobacco (see picture below). Given that this is a torpedo, I defaulted to a straight cut into the tip of the Tatuaje Wolfman. I was actually very pleased with the dry notes I detected on the pre-light draw. There was a nice combination of leather, cedar spice, coffee, and sweet cocoa. After a more than satisfactory pre-light experience, I fired up the Wolfman and began the smoking experience. I opted to fire up the Tatuaje Wolfman normally and not completely burn the unwrapped foot. The early notes from the burn of the binder and filler gave me some cedar flavors with a hint of spice. 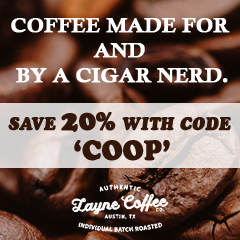 As the Wolfman approached the wrapped portion of the cigar, I detected some coffee notes. These coffee notes took on more of a mocha flavor as it was then joined by some chocolate and cream notes. Once I got into the wrapped portion of the Wolfman, an orange citrus flavor emerged rather quickly. The orange had a distinct sweetness to it. The orange notes layered very nicely over the chocolate and coffee notes – making for a very three-dimensional flavor experience. Toward the end of the first third of the Wolfman, I detected some baker’s spice on the tongue. Meanwhile I detected more of a classic pepper through my nostrils. In the second third of the experience, the baker’s spice folded in with the orange, chocolate, and coffee notes. The middle part of the Wolfman was definitely the most flavorful part. It was around the midway point where the orange citrus notes took center stage. With the other flavors still present, I was pleased this cigar did not get too citrusy. 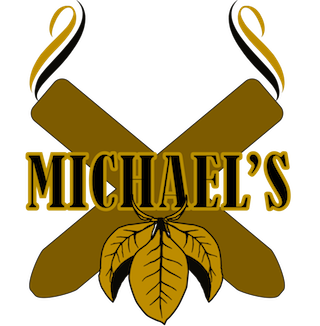 In the last third of the cigar experience, the coffee and chocolate notes pretty much faded and it was the baker’s spice and orange that were center stage. The spice had an edge over the orange citrus, but at the same time I liked how the spice did not overpower the orange sweetness. The finish was not harsh. The nub was soft and warm, but given this was a long smoking experience – I was not surprised. For the most part, this cigar had solid construction. Early on, the burn had a flaky ash and needed some touch-ups, but it soon settled into a sharp burn with a tighter ash. The burn rate was ideal – it burned a bit slowly and at an ideal temperature. I liked this because it lengthened the smoking experience (to almost 1 hour and 45 minutes). The draw was excellent. One reason I don’t like torpedo vitolas is because of the draw. This was not the case with the Tatuaje Wolfman as it was one of the better drawing torpedos I smoked. In terms of strength and body, the Tatuaje Wolfman balances these attributes perfectly. 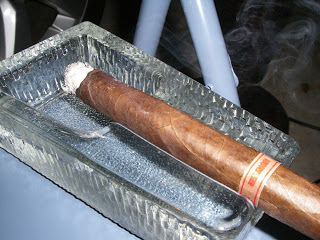 The cigar provides a nice nicotine pop, but it falls just short of being full-strength. I assess the Wolfman on the high-end of medium to full on the strength spectrum. 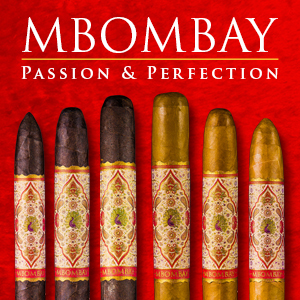 As for the flavor notes, they are bold and have some nice depth – no doubt this is a full-bodied smoke. Prior to smoking the Wolfman, the two best Tatuaje cigars I have smoked have been the Tatuaje Anarchy and Tatuaje Gran Cojonu. I now will add the Wolfman to this club. For this assessment, I only smoked one sample, but it did leave a positive experience. I’m not sure I would go the frenzy route to get some more, but I’d definitely smoke if I can track another one down. 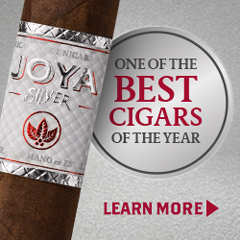 I would definitely recommend this cigar for an experienced cigar enthusiast. It still might be a little too much cigar for a novice enthusiast, but I certainly wouldn’t discourage recommending this to one. 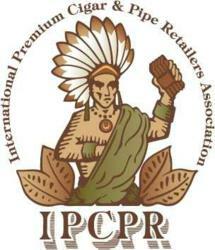 Overall, I think this will be a factor for the top cigars for 2011. Source: This cigar was gifted to me by a friend. Will, great review. Just an FYI from a Tat Ho. 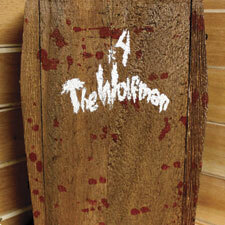 The Wolfman is only the 4th installment of the Monster Series. The Boris was technically part of what was supposed to be the actors series which was dropped so they could concentrate more on the Monster by offering the dress and non dress boxes which started with the Face and continued with Wolfman making it much easier to score boxes. John, you are my Tatuaje Subject Matter Expert. You are completely correct. I have modified the above.